See you later New Mexico! We’ve been in Silver City, New Mexico for the past three days. We love this little town, but it’s time to move on. This morning we woke up to the freezing cold! Arizona, here we come! Another mural in Silver City. 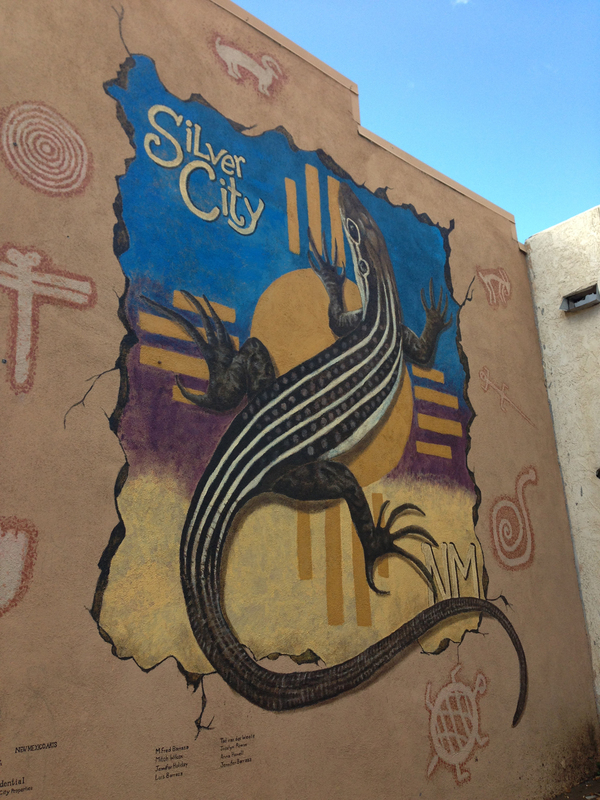 Silver City began as a mining town over a hundred years ago, hence the name. As a matter of fact, many of the small towns in the Southwest started out as mining towns. In the past decade or more it has become a wonderful artist community. Everyone we encountered was very friendly. 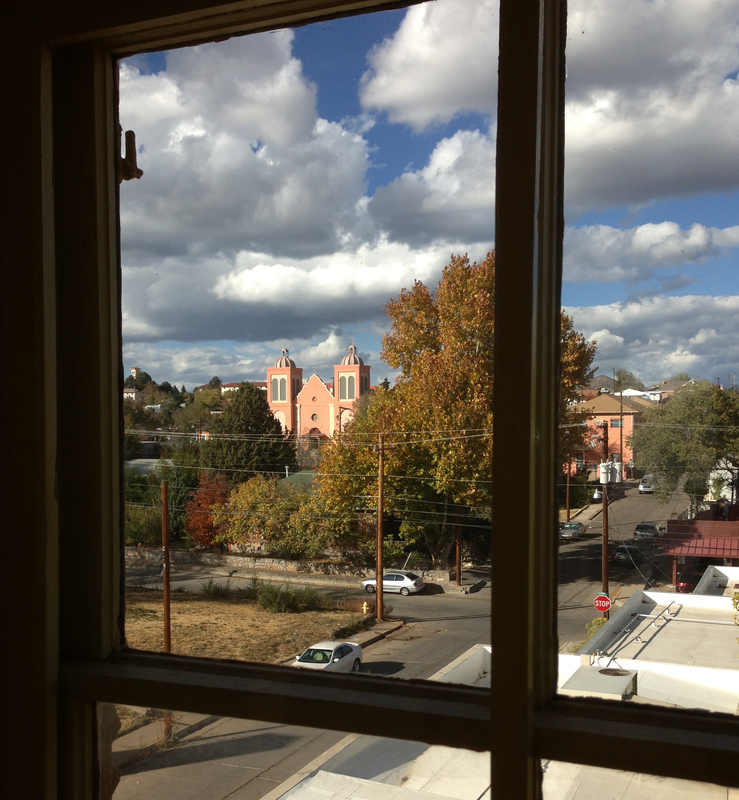 Silver City is also the home of Western New Mexico University. I highly recommend visiting if you ever get the chance. The first morning here we walked over to downtown Silver City. My goal was to find an art gallery for my prints, but Tuesdays everything is closed. 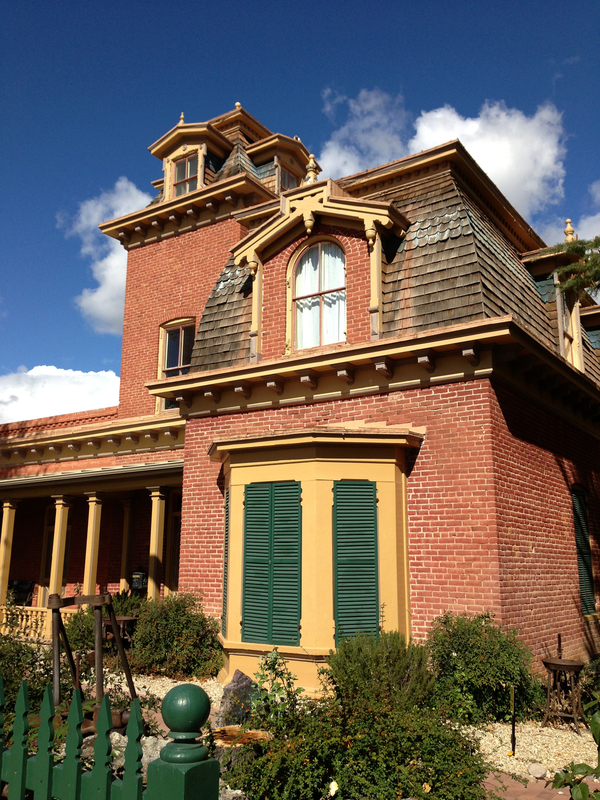 We wandered around town, browsing thrift stores and ended up checking out the Silver City Museum, which is housed in one of the towns old historic homes. 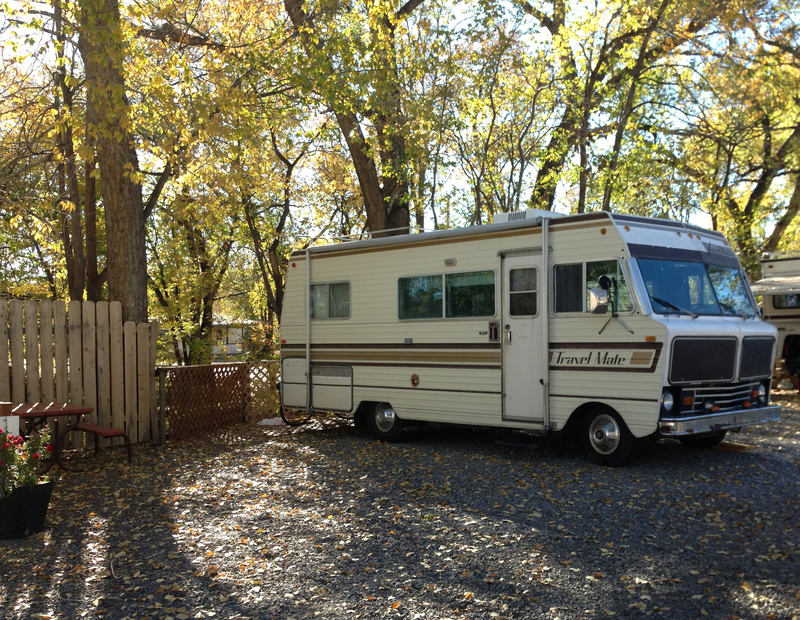 Our RV set up at the Silver City RV park, just outside of downtown. 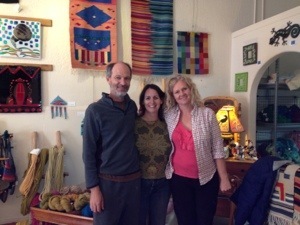 We had a lovely visit with an artist friend and her husband. She made us a yummy dinner of green chile enchiladas with beans and Tecate beer. Our last New Mexican food until we return next Spring. We rode our newly tuned up bikes to her house, it was only 4.5 miles, but the hills! The hills were a killer! Luckily for us, they have a truck and gave us a ride home since it was after dark and VERY cold outside. Wednesday morning I went back to town, on my bike this time, to visit the art galleries. I started with a couple of galleries that had been suggested by friends in Las Cruces and also by my local artist friend. 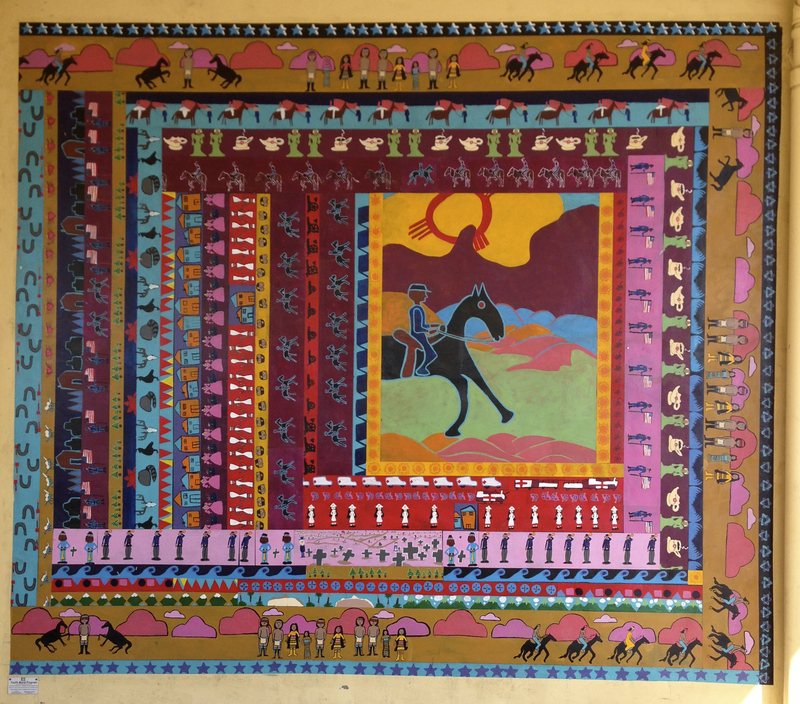 The second gallery I went into was Wild West Weaving. Hosana was a lovely lady and very friendly. She represents my friend, Dayna Griego’s, glass art. We got to talking and I told her about my needlepoint designs. This piqued her interest enough that she is going to represent my prints AND fine art needlepoint canvases. Wednesday evening we had a delicious dinner at the Adobe Springs Cafe. The cafe is in what used to be the office of an old motel. The food was absolutely fabulous! I had a chipotle peach grilled chicken which was like nothing I have ever tasted, spicy, sweet and just plain yummy! Aaron had fried catfish which is a pretty common dish around these parts. This will be my last post for a week, possibly shorter, as we are headed to the Chiricahua National Monument in southern Arizona for some camping and hiking. I will have lots of photos to share once we get to Bisbee. Stay tuned!